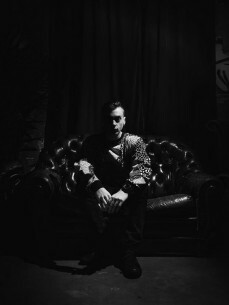 Patchwork is the name of Holland’s, 21 year old producer Koen Hesp, a member of the ZenSupremacy family; a start-up collective that’s based in Amsterdam featuring a number of talented artists. Patchwork is mostly known for his remixes of Drake, Miquel and Rich The Kid. Only starting to release tracks in 2014, he has grabbed the attention of several music platforms and blogs as Soulection, Do Androids Dance and Karmaloop. His skillful synth work and melodic future R&B sounds translates bedroom music to the club. His DJ sets are as diverse as they are funky. Playing at venues such as Paradiso, Melkweg, Jimmy Woo, AIR & Chicago Social Club.